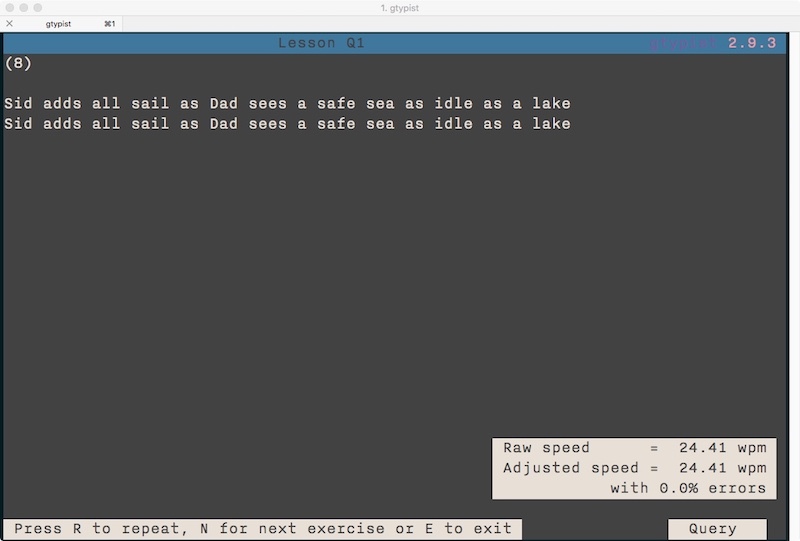 Completed all of lesson Q1 in gtypist today again. Went faster this time. Confident enough to start Q2, Monday onwards.